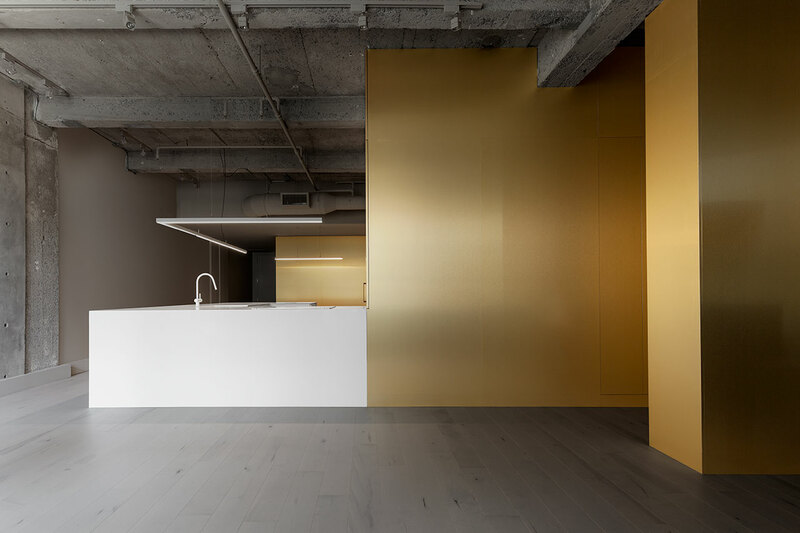 Proclaimed as a “domestic architectural installation”, IN 1 2 3 is a series of spaces by Canadian architect Jean Verville that attempt to merge art, architecture and domesticity through the interplay of space and imagery. 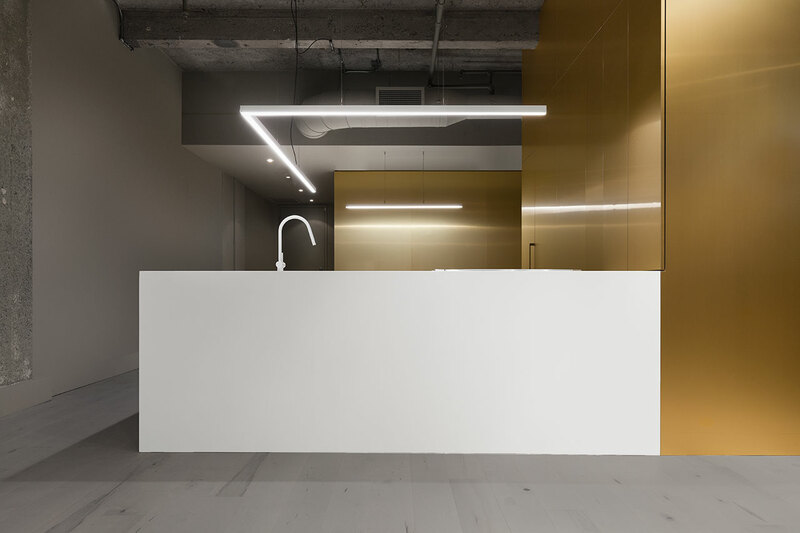 “Modelled on a human scale" and adhering to the principles of minimalism, each project is a reductive portrait-installation, and a collaborative endeavor that reflects the personalities of its occupants. 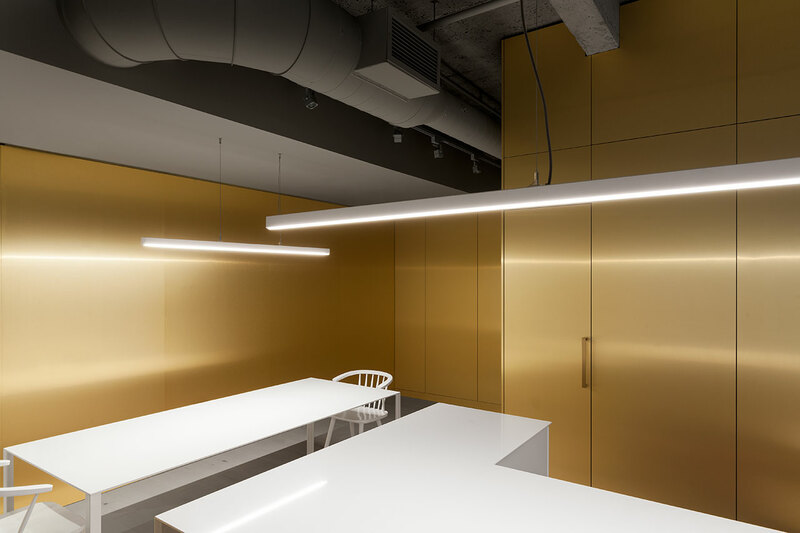 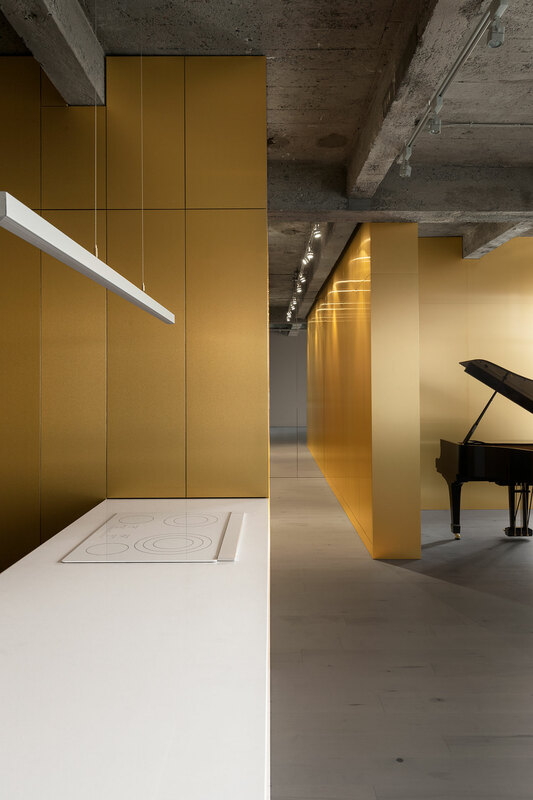 IN 3, the third in the series, a maestro’s studio in Montréal is designed as an environment of both sophistication and abstraction. 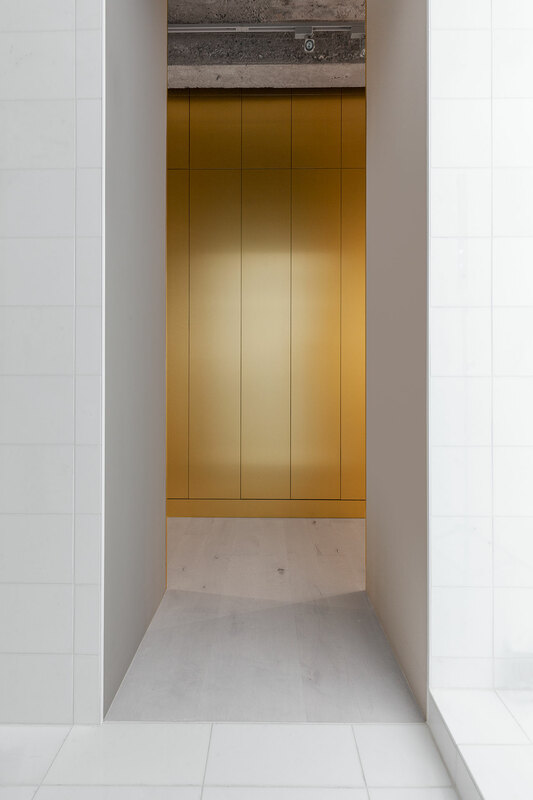 Similar to the other two installations—IN 1, a converted shed located in the architect’s back yard, and IN 2, a cottage designed for an eclectic couple—IN 3 was conceived as a series of spaces that flow into each other, “a succession of sculptural volumes” so to speak, where “sensory perception is asked to transgress the physical limits of space to favor the illusory abstraction of dimensional form”. 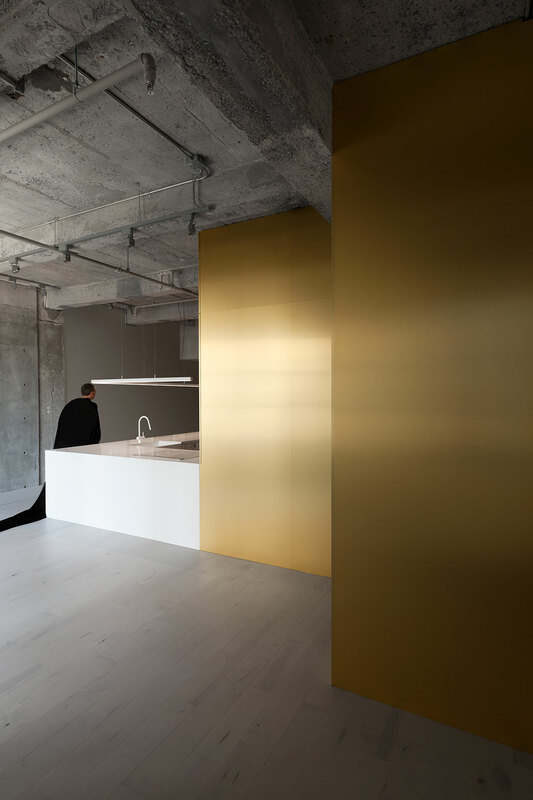 Enveloped by shades of gray, be that the exposed concrete ceilings, the timber flooring or the floor-to-ceiling curtains, the interiors exhibit a monastic soberness that is pierced by a ribbon-like, brass structure, serving both partition and storage purposes, and a polished, white, L-shaped kitchen counter. 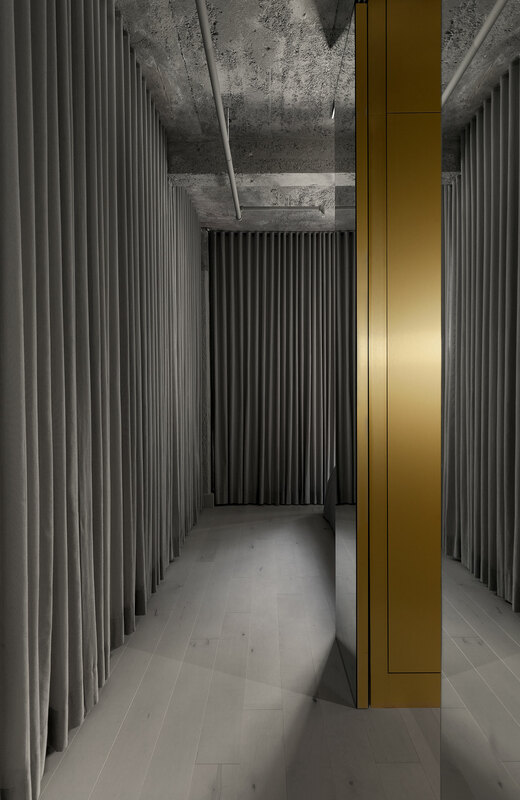 Those two elements evince an understated opulence and a certain pizzazz that is harmoniously juxtaposed with the raw materiality of the gray zones. 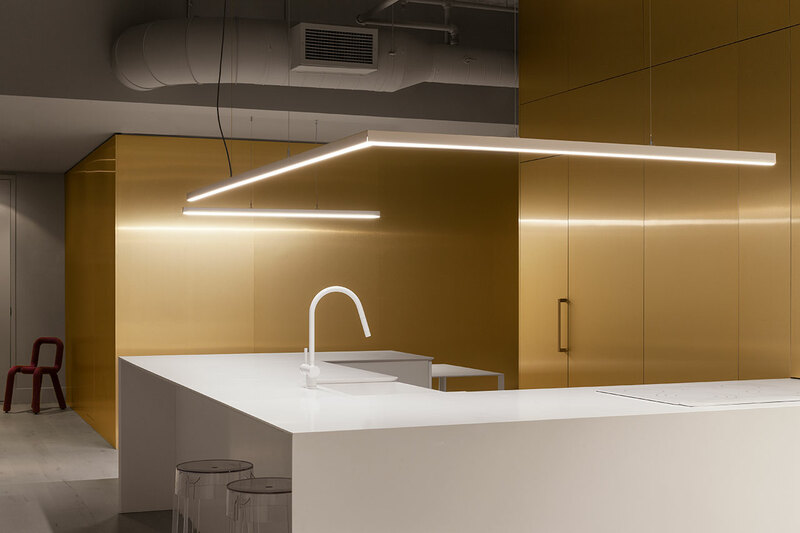 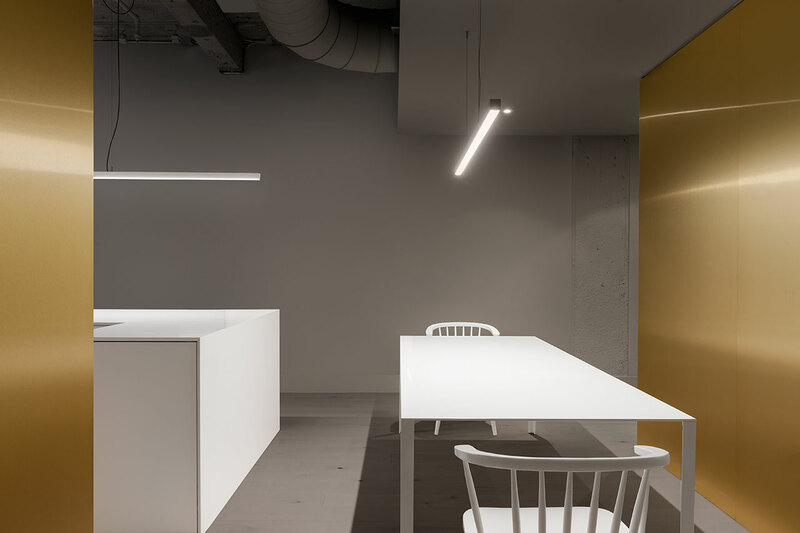 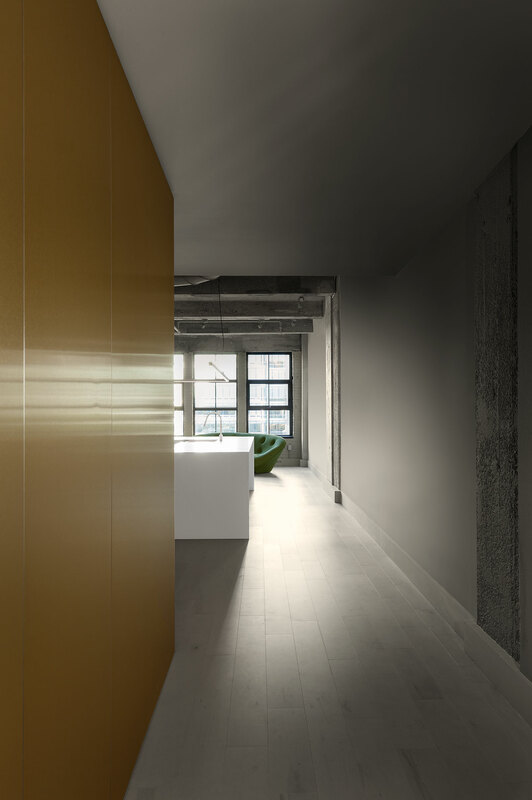 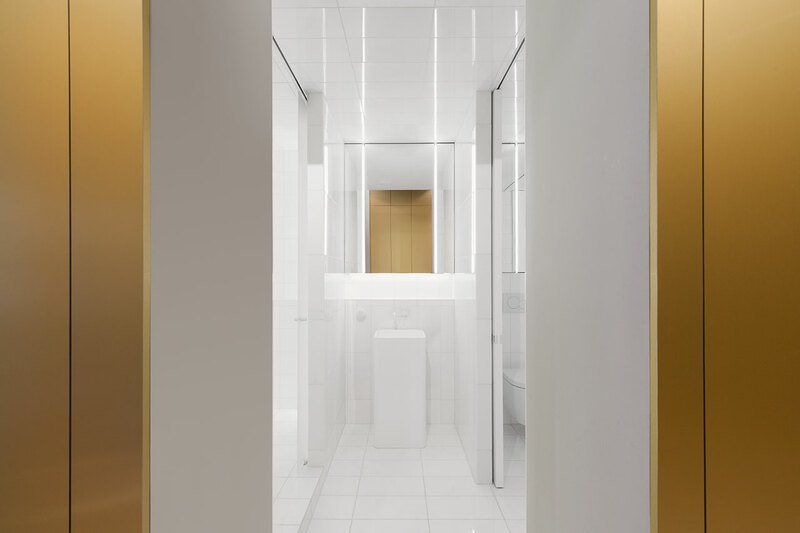 What is impressive in Verville’s minimalist aesthetic is that his design succeeds in hiding not only the unnecessary functions of a domestic environment but many of the necessary as well without making the environment sterile. 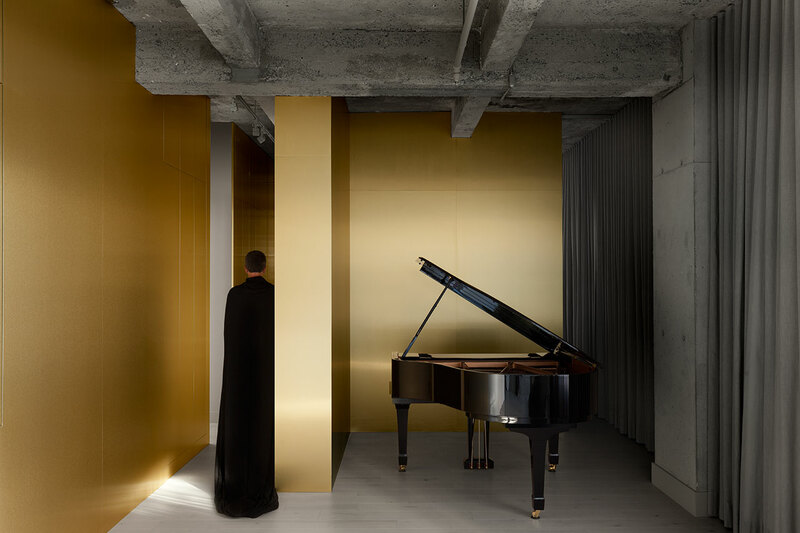 On the contrary, the space possesses a subtle theatricality, spearheaded by the exuberance of the golden plating and the maximalism of the curtain-lined walls, culminating in the presence of the grand piano. 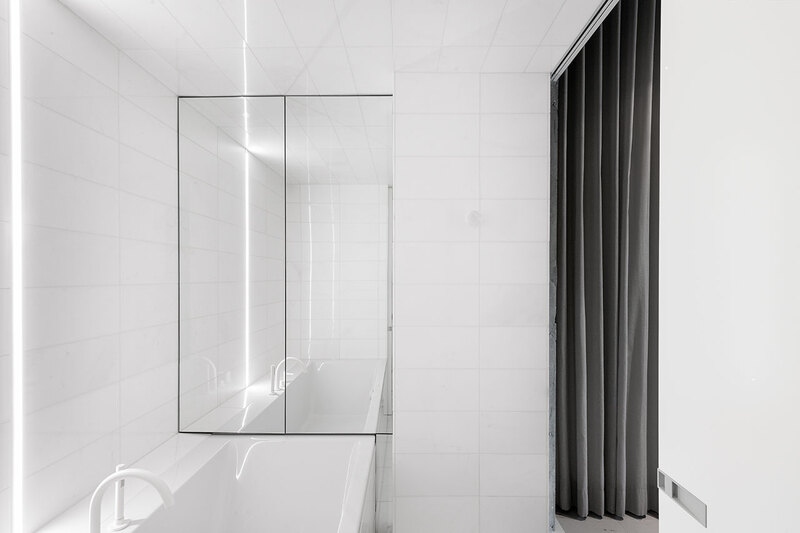 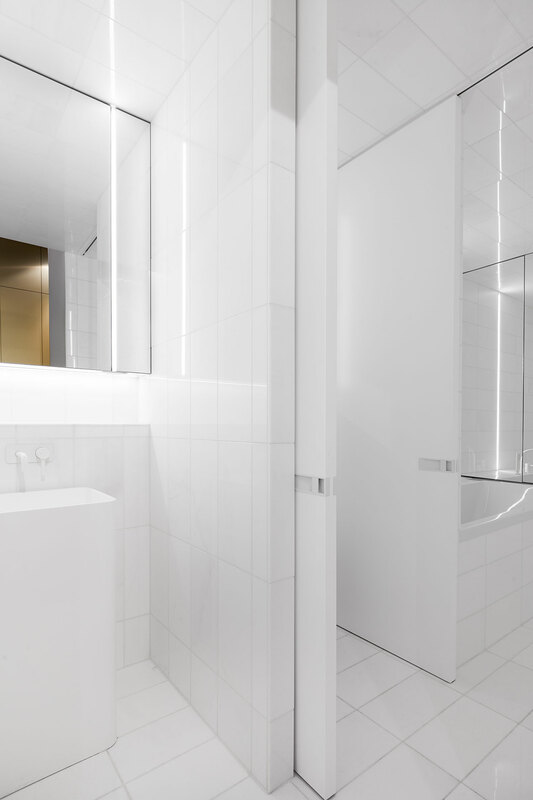 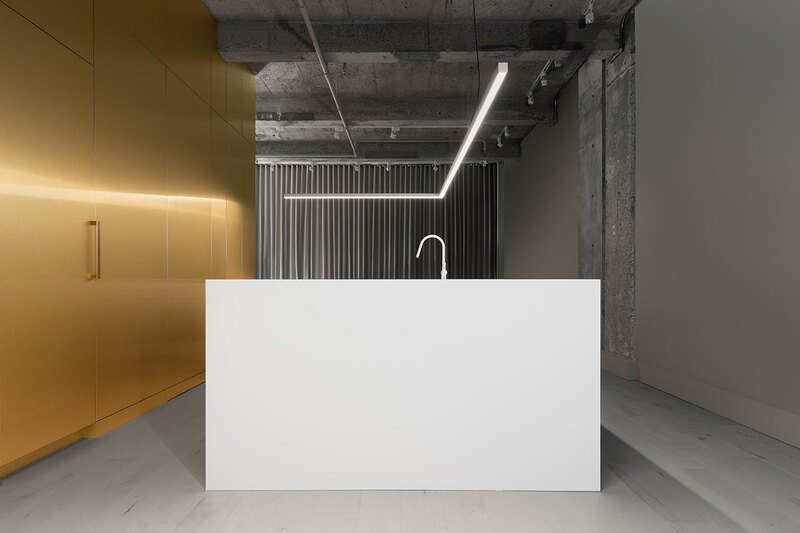 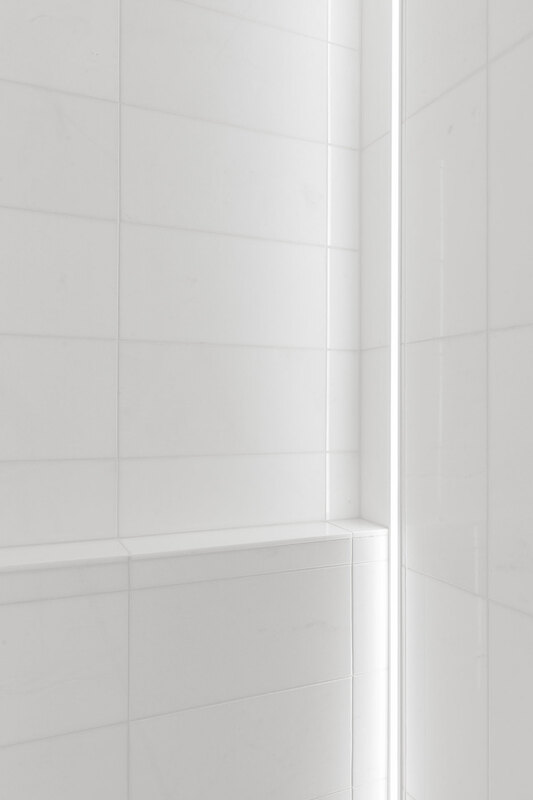 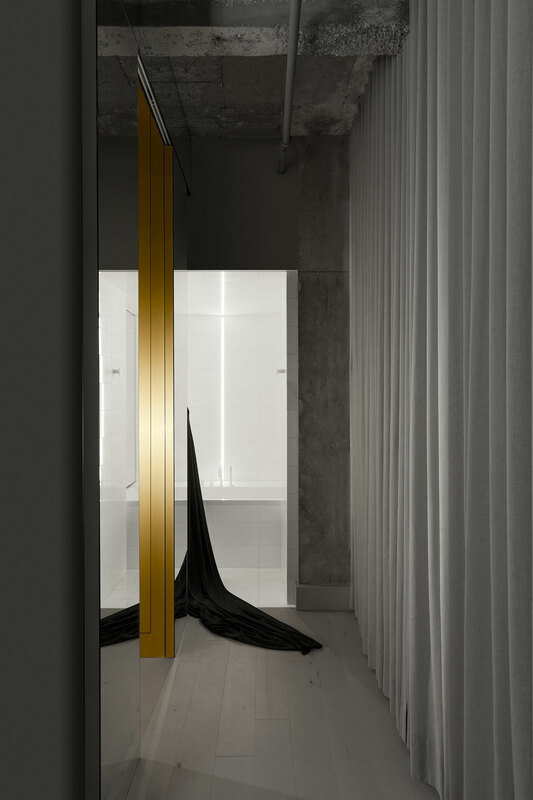 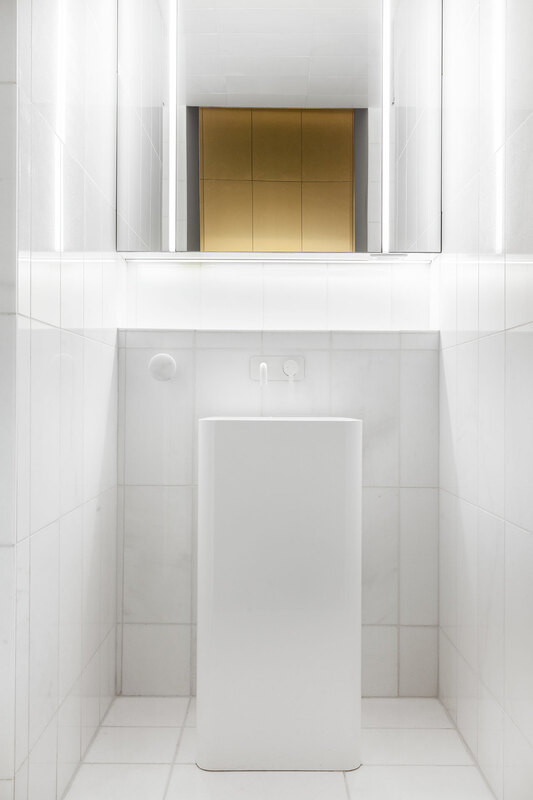 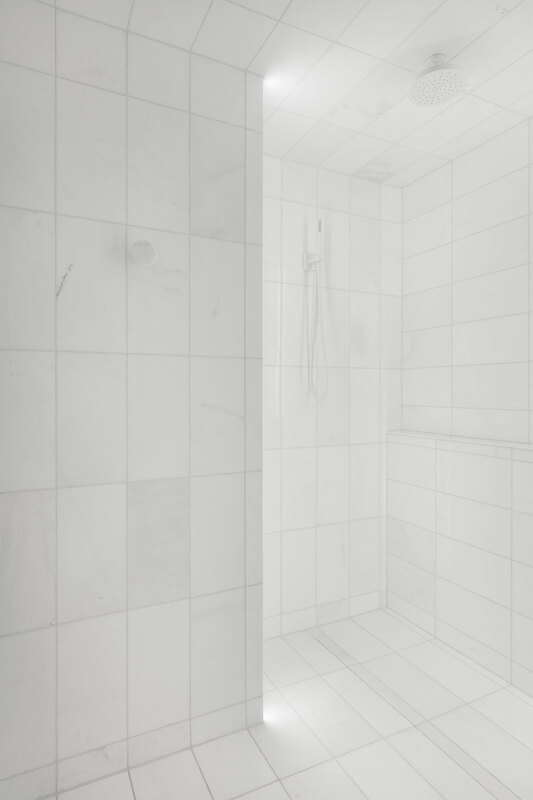 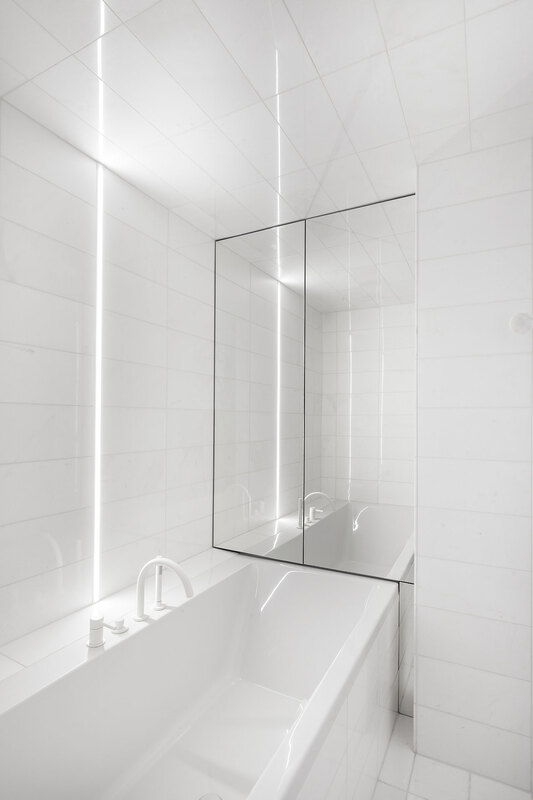 After the contrasting tones and darker shades of the living spaces, the bathroom is an oasis of pure, gleaming whiteness that cleanses the visual palate, perfectly rounding up an installation that was conceived as a working environment of subtraction and abstraction, conducive to the occupant’s concentration and inspiration.